Black Opal Beauty is a cosmetics company under Biocosmetic Research Labs. They develop an assortment of beauty products including moisturizers, shaving gels, toners, exfoliators, and more. 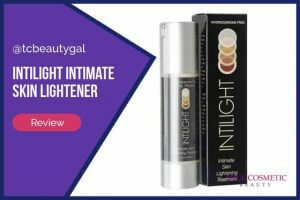 This brand is relatively popular and known for producing quality, effective cosmetics that tailor to a wide range of skin issues. 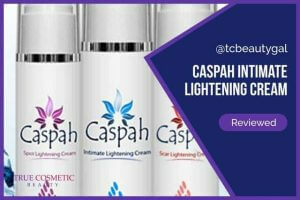 One of their most popular products, however, is a skin lightening cream called Black Opal Fade Cream. 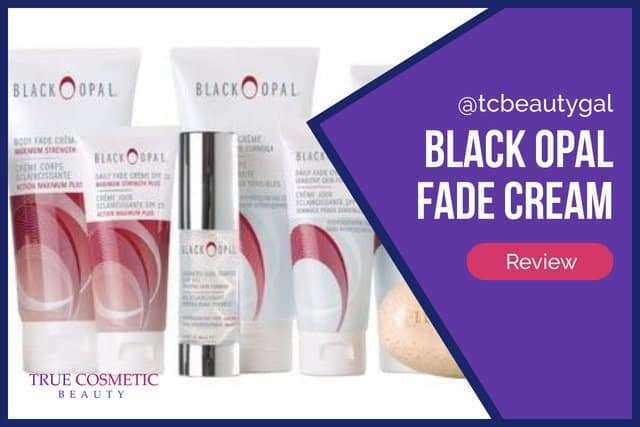 Unlike many competing products (such as AMBI Fade Cream or ProDerma Light) Black Opal Fade Cream does not include the harsh agent called hydroquinone. It is formulated to be gentle enough for even the most sensitive skin. Black Opal is primarily made up of natural extracts along with a few other important ingredients including shea butter, avocado, and various oils. This blend is designed to provide intense moisture and gradually smooth out uneven skin tones. 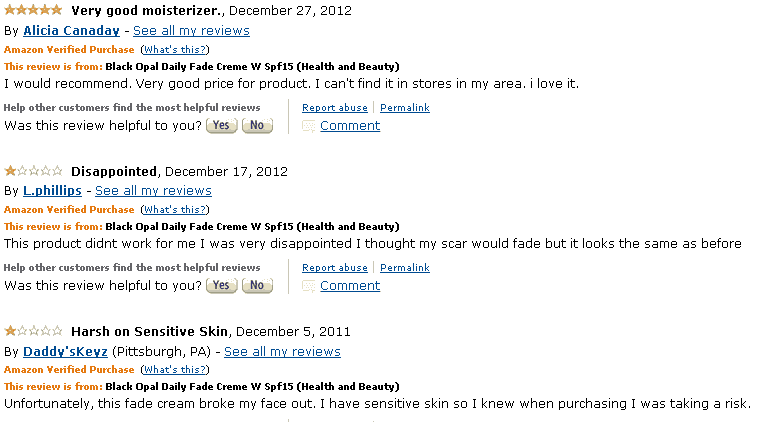 Unfortunately, a lot of real users have complained about this product doing little for their skin. In some instances, it even caused acne breakouts on certain individuals. The reviews are very mixed for this particular skin lightening cream so its hard to determine whether or not it’ll work for everyone. What do we recommend? Try a cream that’ll give guaranteed results in 2 – 3 weeks rather than 1 to 2 months. Some great alternatives are Civant Meladerm and Illuminatural 6i – both work wonders. This is a fantastic product! I’ve been using it for 4 weeks now and I have definitely noticed an improvement. I’m African American and have lots of blemishes. Not much has helped me in the past so I didn’t think this would either. I’ve been pleasantly surprised at how well this has worked in a relatively short period of time with daily use. The amount of product provided is small but it goes a long way. I still have a considerable amount of cream left even after a month. This has not caused me to have more breakouts either. The major con that I have noticed is that my skin on my neck is a drier texture since starting the cream. However this doesn’t bother me given that the skin tone has evened out. While there were some 1-star ratings there were also 4 and 5-star ratings as well. Some individuals claim it worked very well, others said it works only as a great moisturizer. 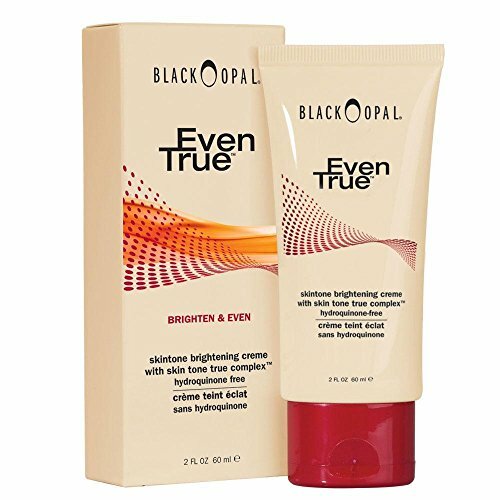 It seems that the phrase “results may vary” is something to take to heart with Black Opal’s solution for skin lightening. Overall Black Opal products are known for being relatively effective. But, due to the nature of the formula, it can be hard to predict whether or not it will work for every person that uses it. Considering this product is fairly inexpensive it could be worth trying. Just know that it may or may not work on your skin. 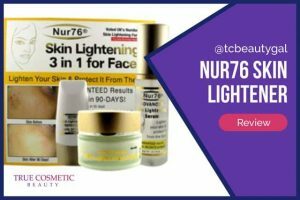 In general, there are other skin lighteners that have a lot higher success rate which leads us to believe that you should try out other products before using this one. 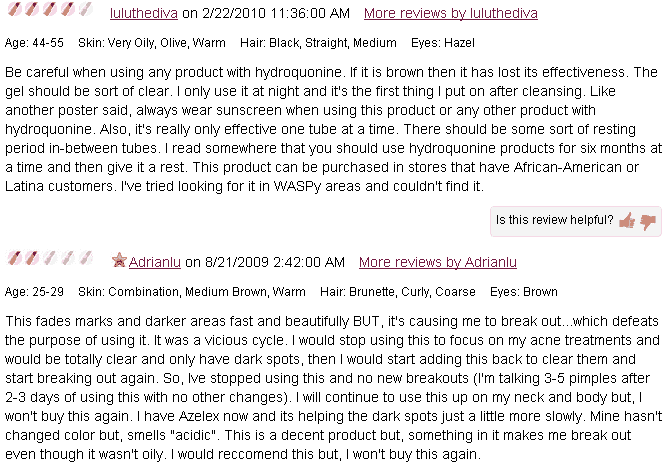 Black Opal is a great cosmetics company but unfortunately, the results aren’t consistent which can be frustrating. Most people that claimed the product did work had been using it for 1 to 2 months or longer. Various other skin lightening creams work much faster than this.